TWs and TBs back to back.. to back... to back... to back.. to back... it will be a crazy and crowded month. oh, and Mods 2.0 is out and we have a new source of energy. 50 different ways of spending now... what is most important? How do you spend your crystals? How should you handle mods 2.0? How will you handle the madness that is the territory battle and war schedule? 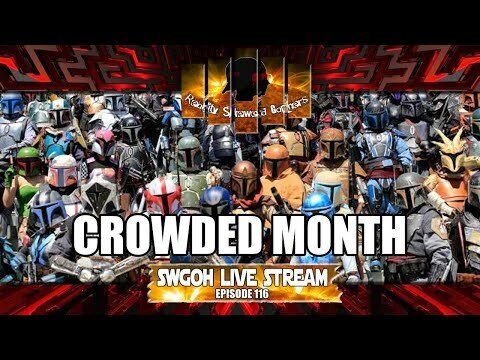 Join for for this episode of SWGOH Live Stream and find out! !